Apple just made an absolutely huge announcement. No, it wasn’t the long-rumored unveil of the iPhone 8 or the new HomePod announcement. What the tech giant revealed at its Worldwide Developer’s Conference on Monday is a lot more important — and will end up saving actual lives. Apple said the rollout of iOS 11, the iPhone’s next-generation operating system, will include a new feature called Do Not Disturb While Driving (DNDWD). With the software update, the DNDWD mode will be able to detect when the iPhone is in a moving vehicle and block drivers from making or receiving text messages — or even opening up the home screen to interact with other apps. You’ll also be able to preset notifications that tell friends and family that you’re in the car and can’t respond at the moment. Make no mistake, DNDWD is a BFD (Big Freakin’ Deal). For the first time, one of tech’s big guns is taking aim at the deadly problem of distracted driving in America. Every single day, nine people die on our roads because someone got distracted while at the wheel, often because they just had to check their email or send a really urgent text (“on my way!”). 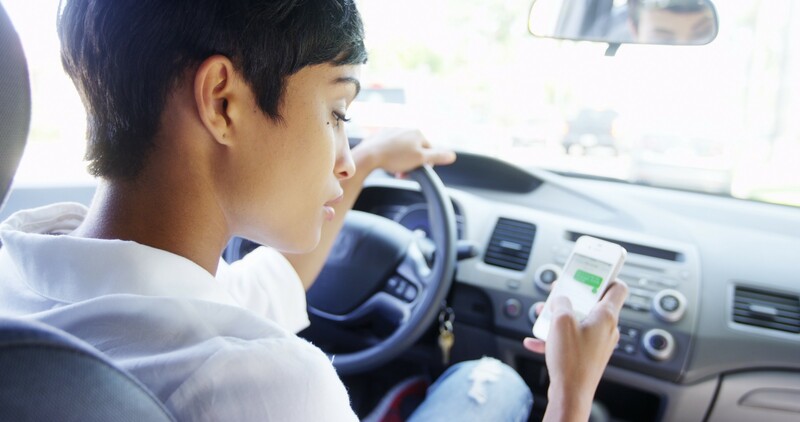 The National Highway Safety Administration blames distracted driving for the biggest annual percentage jump in highway deaths in 50 years. That shocking stat is from 2015, and the problem is only getting worse. So I applaud Apple for taking an important big step toward addressing the issue. A string of lawsuits like this one brought by the family of a young girl in Texas may have had something to do with this week’s announcement. It not only makes good business sense, it’s a moral obligation. Will DNDWD stop people from reaching for phones in the car? Of course not. For one thing, the feature allows you to indicate that you’re a passenger and can therefore continue texting as normal. It’s an easy workaround. People are just too addicted to their phones. Half of Americans admit to texting and driving, even though we all know it’s dangerous. In fact, the same study found that adults are more likely than teens to text and drive. This isn’t just about texting and driving. Digital distraction is a pervasive and persistent problem that’s affecting how we work and how we interact with each other. It’s rewiring our children’s brains, and changing how they learn new information and behave socially — not necessarily in positive ways. Digital distraction is the reason I started unGlue in the first place. It’s a real problem that deserves much, much more attention. Apple deserves credit for putting the issue in the spotlight and taking an important step in the right direction. But there’s so much more that can be done and needs to be done to create more balance in our digital lives. Hopefully this is only the beginning of a whole new kind of tech revolution. Originally published at blog.unglue.com on June 8, 2017.